Meet Neil and John, the founders and owners of Grand Patios who have a combined 25 years of experience in the construction industry. We specialises in the construction of different types of patios, alfresco, carports, pergolas and sheds. Our headquarters and showroom are located in Rockingham, Western Australia. We opened a new showroom in the North of the River in 2017. Visit us here today! For faster transaction, you can call us at (08) 9592 1285. 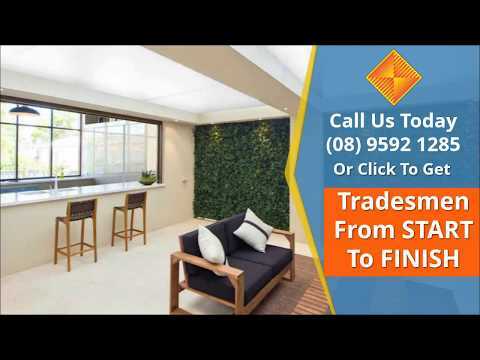 Staffed with experienced patio builders, we have served the communities of Perth, Joondalup, Mandurah, Baldivis, Waikiki, Byford, Port Kennedy, & Rockingham Armadale, Bicton, Applecross, Ardross, & Secret Harbour Western Australia for over two decades; building and installing custom-designed outdoor living, alfresco and carports of different types to an expanding clientele. The Directors, Neil, and John, both have a background as skilled patio builders and they understand the importance of selecting and using high-quality materials that will withstand a lifetime of weather conditions and environmental conditions in WA. To ensure a high quality of professional service for existing and prospective clients, they have assembled and trained their staff to perform all work with the tools, techniques, and processes required for high standard steel construction and assembly. We offer no obligation and free consultation to help you choose the best available design solutions that will meet your requirements, and once completed, you’ll be followed by design quotation, engineering, construction, and installation – all with up to 25 Year Warranty. Contact our patio design experts and we’ll help you with your home improvements at competitive pricing. You can relax and enjoy the pleasant climate that the coastline of Western Australia offers on a year-round basis with our fully customized outdoor living designs. Having a patio installed in your Perth home is not merely about a getting a great extension to your living area that you can dine and chill with your family or friends during special events but as well as investment – and if maintained properly, it can last for a very long time. A patio is also a valuable extension to your house which adds a seamless blend of indoor and outdoor living. For more updates about outdoor living, kindly visit our news page. Looking for special offers? We got you covered – click here for more info. Qualified Architect with 30+ years’ experience in the construction and outdoor living space industry. An impeccable eye for detail with the ability to sketch any ideas You might have within minutes. Design consultant with 20+ years’ experience in sales and communication within the patio and construction industry, having been involved in all aspects of the patio industry with a vast catalogue of works and project experience. Experienced Receptionist with shire BA01 and BA02 application knowledge. Professional enthusiastic friendly staff member who is often the first port of call for all phone and email communication. 20+ years in Banking and Finance. 5 years at Grand Patios managing accounts and admin. Very professional friendly staff member key communicator for account and administration situations. We’ve built nearly ten thousands of custom design patios right across WA. We provide customize designs that suit your style, preferences, budget and will ensure it blends seamlessly with your property. All Alfresco projects are delivered using professional tradespeople and the highest-quality home improvement products with manufacturers warranty up to 25 years. We specialize in providing individual & custom design carports to residential, commercial and industrial sectors. We offer free design consultation, free measure and quote and a warranty up to 25 years. Our Sheds, garages and workshops are designed, engineered, quality controlled and manufactured to the highest quality, using only 100% Australian products and materials – all backed up with up to 25 years warranty. For highest-quality custom designed sheds at affordable prices, contact us today. We offer a vast selection of jarrah and timber decking suited to your preferences and resources. If you need a beautiful and custom design decking in WA, contact us today, and we will do our best to give you the most competitive pricing. With us, beautiful, long-lasting, and durable outdoor screening is made quick and easy! If you’re in need of café blinds or alfresco blinds in your home you cannot go past Ziptrak® outdoor blinds. Contact us today to request for a free quote. "Exceptional service from start to finish"
Exceptional service from start to finish and would definitely recommend to anyone looking at installing a brand new Patio. "Absolutely amazed with my patio"
Absolutely amazed with my patio I have just had installed, all staff are very easy to talk to and extremely helpful! Brad installed our patio and done a absolutely amazing job! Couldn't be happier and would defiantly recommend to everyone! "The end result was better than I had imagined, professional work"
Grand patios did our job from start to finish they designed, supplied and installed our patio. Niel & his team did an amazing job and it was up in a day! The end result was better than I had imagined, professional work. I Highly recommend them! "We made the right decision to go with Grand Patios"
We can't thank all the staff at Grand Patios enough for giving us the patio we always hoped for. From the very beginning we felt at ease with Daniel and from the finished product, we know we made the right decision to go with Grand Patios. Interest-FREE finance guaranteed! Click here for more info.